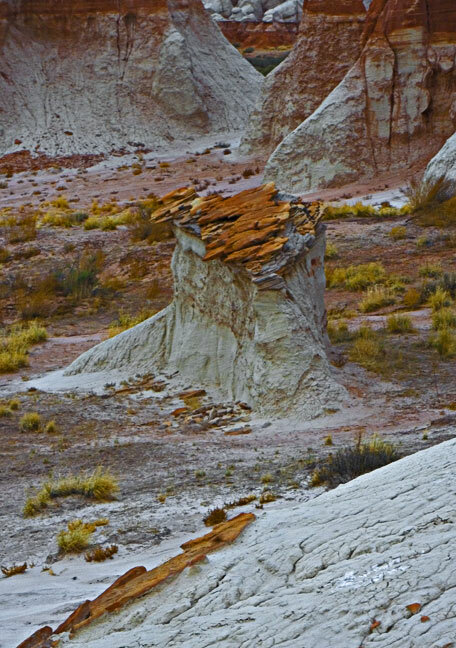 This hoodoo is probably 10 to 15 feet tall and 10 feet across. Thought it was interesting how the brown slabs of rock on it's top are almost falling off. Wonder how long they have been in this position and how long till they do fall off ? ?